A common saying in the Basque Country is “entre les montagnes et la mer”: between the mountains and the sea. Life in this region is punctuated by two of the Earth’s most powerful elements. With the ocean at your back, you can see layers of mountains soaring above the horizon. For a cyclist, there is no greater thrill than seeing the outline of a beautiful peak and a smooth ribbon of road leading right to the summit. 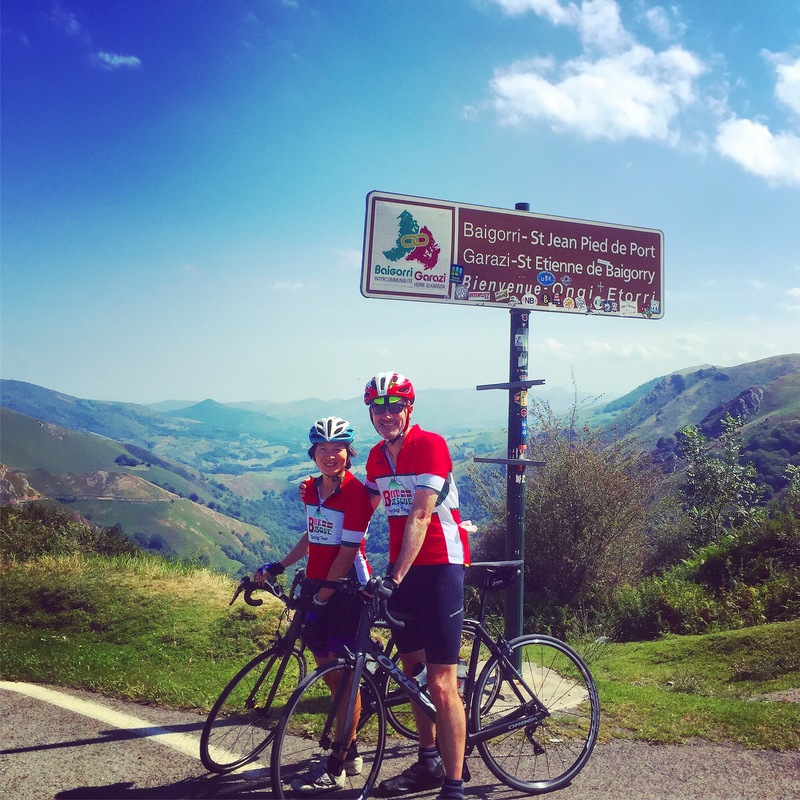 The Basque Country has the privilege of being the gateway to the Pyrenees and as you pedal along the gentle green hills, they begin to steadily rise towards some of the most famous cols and passes in the world of cycling. The Pyrenees mountains are truly unforgettable and offer many of the most epic climbs on the planet. It’s no wonder that the Tour de France has been visiting the Pyrenees for over a hundred years. 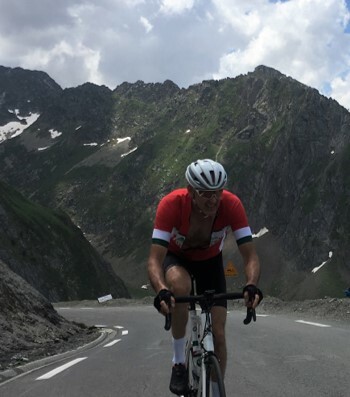 Perhaps the most mythical of all, the Tourmalet, has two ascents and is famous among amateurs and professionals alike. And once you’ve conquered that giant, there are over a hundred more! With gradients ranging from a mild category 5, to the “above category” HC legends, there are climbs to suit almost any kind of rider. Ask any Bike Basque guide where they’d rather be riding and they’ll tell you it’s here. The Pyrenees are not just about climbing. Though known for dramatic weather, during one of the many bright sunny days, the views can take your breath away and the layers of peaks can seem to stretch for an eternity. The western side of the range is known for ultra-green landscapes, waterfalls and herds of free-ranging animals. The eastern side of the range offers a different beauty, richly colored rock with a more Mediterranean feel. The jewel in the center is the Pyrenees National Park, its protected valleys home to species found nowhere else on Earth. The unique terroir and culture of the Pyrenees stretches from the Bay of Biscay to Perpignan. The cuisine highlights the mountains’ bounty, fresh, seasonal and always free-range and the one-of-a-kind cheeses are still made by hand. After a long day in the saddle, you can look forward to a hearty meal in a welcoming restaurant often attached to a traditional hotel or guest house that blends perfectly into the landscape. Any road cyclist who loves to climb or dreams of an epic bicycle adventure in the mountains should put the Pyrenees on their bucket list. 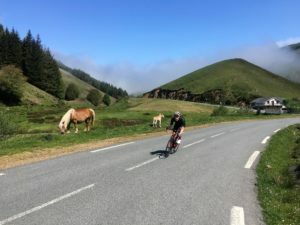 Whether you want to spend one day exploring or a whole week conquering the RAID Pyrenees route from one coast of France to the other (whichever direction you like best), any amount of time pedaling in these mountains will leave a lasting impression. That is why so many of Bike Basque’s tours include the Pyrenees. You’ll want to return again and again to ride each of those peaks you see on the horizon.